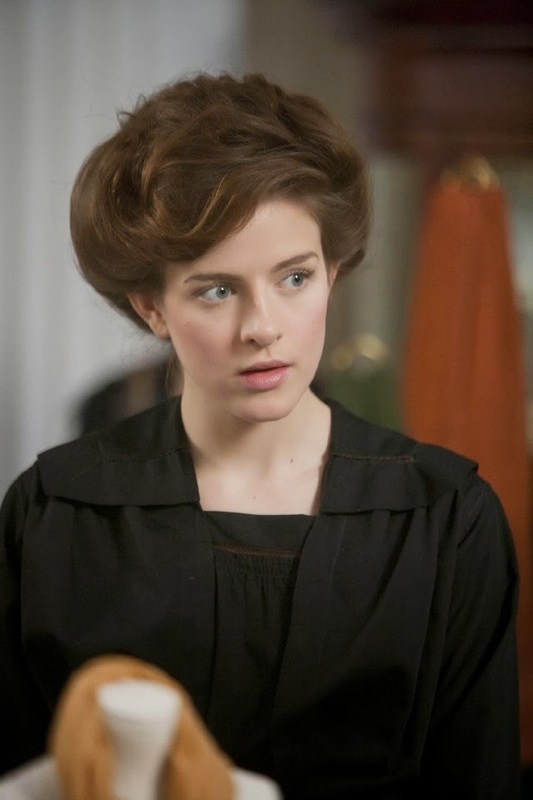 ...And Mrs Selfridge's floaty lace get-ups. Not to mention all the gorgeous A-line and bell-shaped skirts. No doubt you'll see my own versions here in the future. 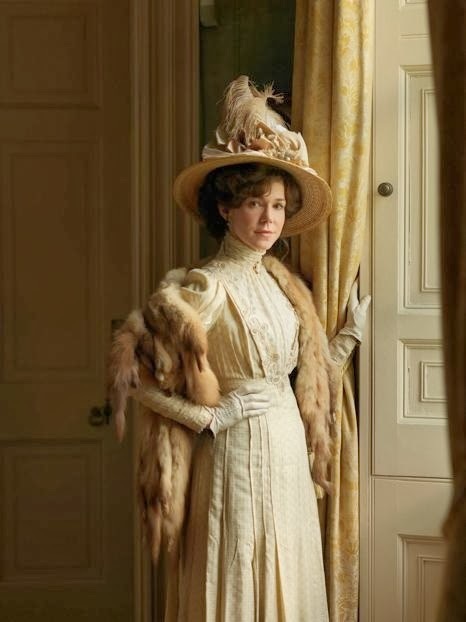 In brief other news, I made a party frock to wear to a wedding in November out of the remainder of the fabric from the Edwardian evening dress I made recently. Didn't even need any extra! Think I made the neckline a tad too low but I'm sure my reputation will survive. Back to Edwardian-ness - I've been wanting an excuse to incorporate into some ensemble these yummy vintage French made gloves that were given to me by my rad pseudo-mum-in-law. I was down the Sallies one day and found a huge gorgeous cream brocade curtain. That baby swiftly came home with me and got paired with said gloves, hat, buttons and of course pattern from the late-teens. It just needs back fastenings and possibly some trimming. Notice the darling apron and headpiece with the maid's uniform? Pretty stoked how they turned out. (Ignore the beads, that's just where they live at the moment). Better Half and I joke that I should don the outfit to do our housework. I picked off the satin ribbon as well as the crown-lining ribbon in hopes to stretch it out, as the weave of the hat is on the bias. So I stretched it over this bowl and gave it a good seeing-to with steam from my iron. This should give it more of a cloche shape. I'll see in the morning how well it holds it's bowl-shape, and maybe give it a go over with hairspray or something and see how that helps. Once I'm happy with it I'll return the satin ribbon. And one of these days I should actually take some photos of me IN a dress!